Braces, which help to realign teeth or the jaw area, consist of bands, wires and brackets that hold a child's teeth in place. After your child receives new braces, her mouth may be in pain; eating soft foods is advisable for the first 24 to 48 hours, and then each time adjustments occur, according to the Center for Young Women’s Health. Finding soft foods that are acceptable to your child might be a daunting task, so discuss the diet choices available for your child with the orthodontist. Eating breakfast is not a problem for a child with braces because many options are available that don't sacrifice taste. The Arch Wired website suggests cooked eggs, French toast, pancakes, waffles, oatmeal, hot cereal, grits, soft toast and cereals that will get soggy when your child adds milk. During the school year, finding foods your child can pack for lunch or eat at the cafeteria might be tricky. Tuna, chicken or egg salad sandwiches can help provide nutrition, and are soft enough not to bother her braces. Packing slices of lunch meat, such as ham, turkey and bologna, are alternatives to the meat salads; these can be eaten plain or on sandwiches. Other options include applesauce, yogurt or pudding, which come in a variety of flavors. Soft meat, or slow-cooked meats, are options that require less chewing while still offering protein. Cutting the meat in small bite-sized portions helps to decrease the chewing time, especially when your child is in pain. Some soft meat choices include meatloaf, meatballs, pot roast, roasted chicken, soft-cooked fish, fish sticks and chicken nuggets. Vegetables that are cooked to a soft consistency or mashed, such as potatoes, carrots, squash and greens, add an additional food group to the meal. 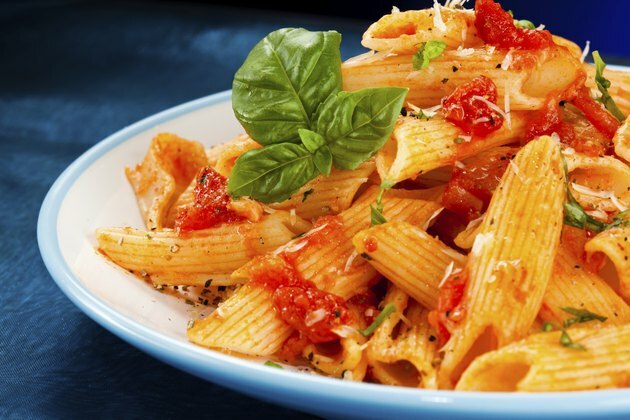 For carbohydrates, cook up some pasta, rice, risotto or couscous. Your child should not feel left out of indulging in dessert. Soft options are available, such as ice cream, cake, smoothies, milkshakes, cheesecake, cream pies, pudding and Jell-O. Each of these soft treats comes in a variety of flavors and choices for her to enjoy. Snacks are a way to curb hunger in between meals. Some snacks that are soft enough for kids with braces include smooth yogurt, cottage cheese, applesauce, mashed bananas, baked apples and ripened fruits with a soft consistency. Saltine crackers are an option when your child is craving chips or something salty; they can be broken into smaller pieces and softened by the saliva in her mouth.